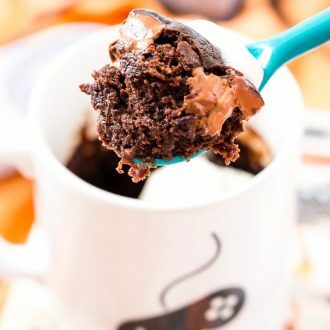 This Microwave Brownie Mug Cake is the perfect quick and easy treat when you’re craving a fudgy and indulgent brownie! 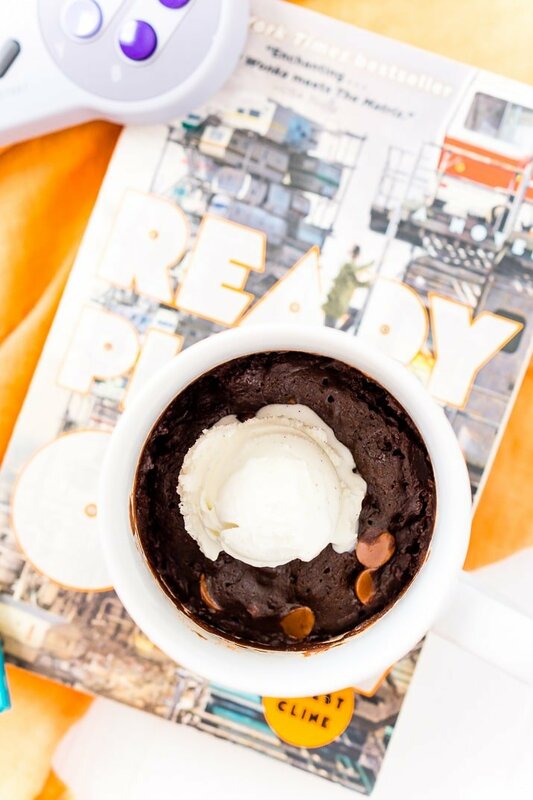 This Microwave Brownie Mug Cake was inspired by both my love for brownies and the Ready Player One book/movie. In the book, there’s a scene where Wade (the main character) enjoys a microwave brownie. I’m sure it’s all a little more high tech than this here mug version, but it’s still a fun and delicious treat for when you’re craving a fudge brownie. I love this recipe because it only takes a few minutes to make and it makes just enough for one person, so you won’t have a whole pan of brownies on the counter to tempt you later. If you want to add even more fun to this Ready Player One inspired recipe, you should make this IOI Corporate Mug! But you can also make this recipe in a bowl, you just might need to reduce the cooking time a little bit. 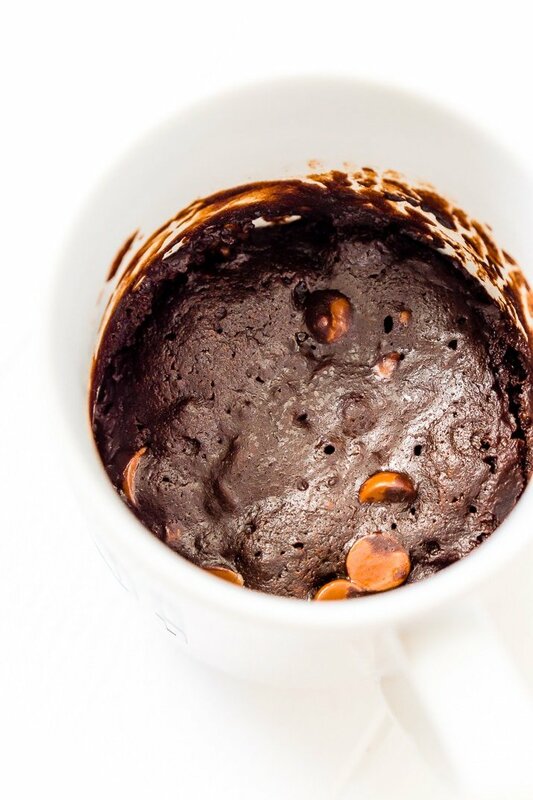 Pin this Microwave Brownie for Later! 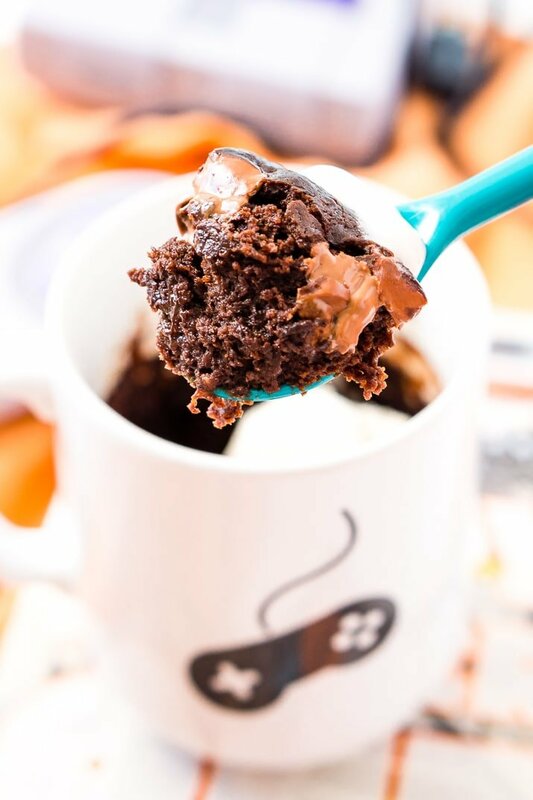 This Microwave Brownie Mug Cake is the perfect quick and easy treat when you're craving a fudgy and indulgent brownie! Whisk together all of the ingredients except for the chocolate chips in a large ceramic mug or bowl until lumps are gone. Mix in the chocolate chips. Microwave the mug/bowl for 50 to 65 seconds. Let the brownie cool for a couple of minutes before eating. Top with vanilla ice cream and chocolate syrup. Recipe Adapted from Bigger Bolder Baking.